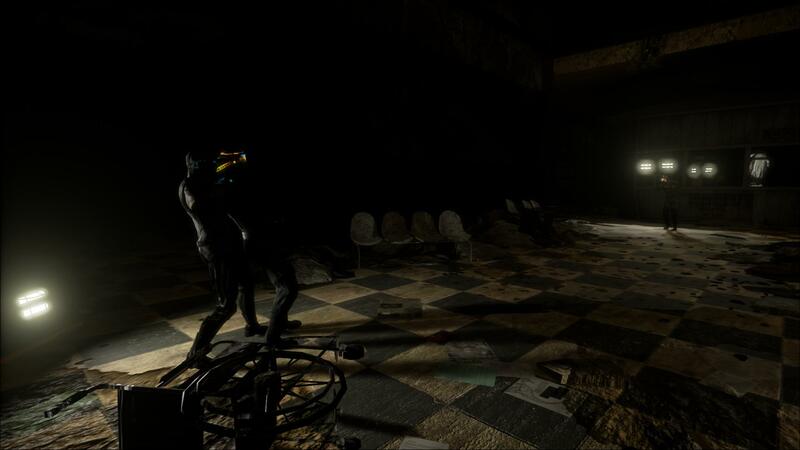 Big fans of stealth games, especially the earlier Splinter Cell games? Project Stealth is an asymmetrical multiplayer game with two very different opposing teams: the Mercenaries are elite soldiers packing heavy firearms and bulky armor, built for the sole purpose to defend any location with their might; the Spies are athletic ghosts, that forgo any firepower in favor of devious gadgets and quick feet to outsmart and outpace their opponents. If this sounds familiar: yes, we are great fans of and inspired by the famous gameplay of Ubisoft™'s Splinter Cell games. There are only a handful of games in this genre. Fans do not have a lot to choose from. We hope to give them an extra option. Also, we're big fans of the genre ourselves. 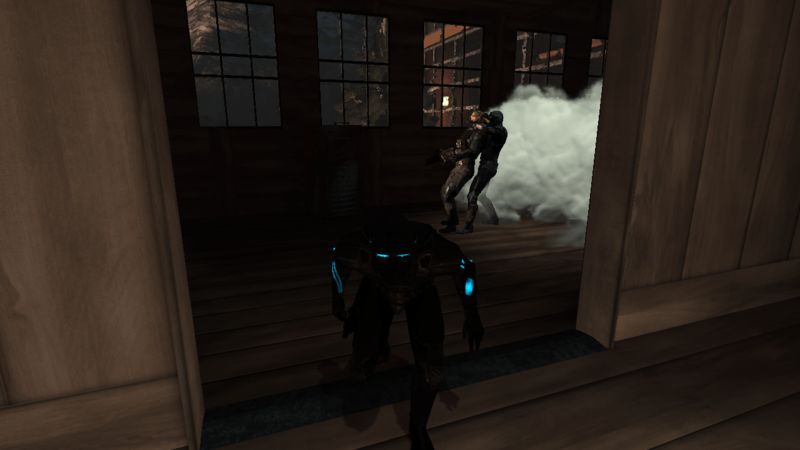 Stealth-Action Multiplayer (S.A.M.) games have one thing in common: gameplay can be really tense, exciting and really fast-paced. Make one wrong move and the balance of the game can be shifted from your team to the opponent's team or vice versa. In normal shooters it often doesn't really matter if you die. In Project Stealth it can make the difference between winning and losing. Spies can grab a Mercenary and break his neck. Easier said than done! Spies, who have low-health and only have non-lethal weapons, have to be really careful when navigating the map. They have to keep track of the Mercenaries at all times while evading their patrols and all static and dynamic defenses like cameras, lasers, mines and other detection mechanisms. It's one big, fast-paced puzzle with a deadly result when you make the wrong move. It will definitely give you an adrenaline rush! The Mercenaries on the other hand are constantly searching for the Spies and have to position themselves tactically to guard the chokepoints in the map and the objectives. Not knowing where the Spies are can make you really nervous because it only takes one wrong move or a second of not checking a dark corner to get grabbed. We feel exciting and non-standard gameplay as described above should exist in more games. That's why we like stealth-action and why we started Project Stealth's development. SneakyBastards.net: "This game very much needs to exist." 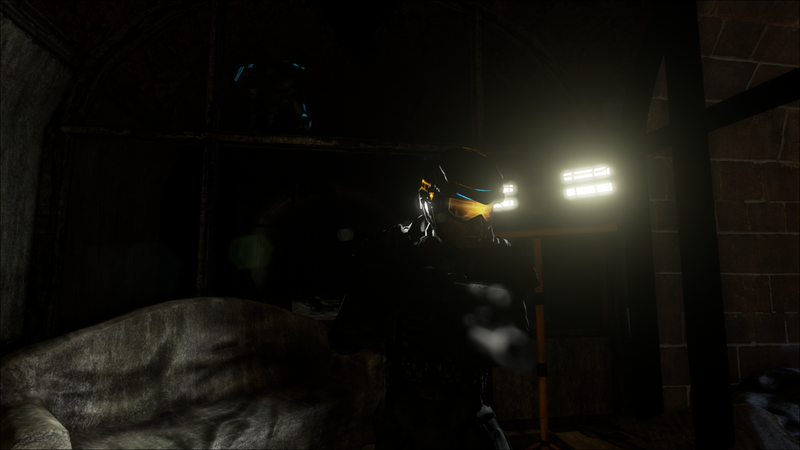 RockPaperShotgun: "This should have been on my PC yearrrrrs ago"
The two teams in Project Stealth have two different goals. The Spies must creep through a location to ambush and deceive the Mercenaries to complete a variety of objectives, while the Mercenaries must set traps, patrol and take out any intruder. Each team has their own strengths and weaknesses. To master one team, you must master the other. We are focusing heavily on team-based gaming. We want the player to find a good partner to make strategies and tactics with. Also we will reward partners for playing together often. This is the best way to enjoy a Spy vs Mercs game, in our opinion. Besides this, we have direct involvement from developers in the forums, great graphics and new gadgets, maps and gameplay mechanics. One of the more unique features of Project Stealth will be its Partner System. The Partner System will allow you to choose a permanent teammate who will be your sole partner in ranked games. In ranked games you and your partner level up together as a team by performing cooperative maneuvers and completing objectives. Leveling up allows the unlocking of aesthetic rewards such as character and weapon skins and concept art. The Partner system idea is one of the drivers for multiple unique features of Project Stealth, like the Fan Locator and the Match Making. This Special Vision Mode will light up Spies using electronics through objects. Sound Wave Gun (Spy): Replacement for the Spy's shocker gun. High-energy sound wave shotgun. Short range, wide spread. Stun the Mercs with sound. The Gun also messes up Sound Wave Vision over a long range without accurate aiming. Mini objectives (Mercs): Don't just patrol but get your own mini optional objectives as Merc to hinder the Spies or strengthen your own defenses. Think better lights, closing of doors and using dynamic environments to your own advantage. The objectives will be away from the normal patrol routes and will take a few seconds to complete so there is always a risk involved. Don't get caught! Sound Wave Vision (Merc): Visualizes loud Spies around corners and partly through walls! Spies, mind the noise and be stealthy! Match-making (Community): Find the best possible partner with your play style based on Big Data and karma. A server browser will also be available. Hallucination Gas (Spy): This option for the Spy's Adhesive Camera will make Mercenaries hallucinate, seeing multiple Spies appear from thin air. Which Spy is the real one? Fan Locator (Community): Find fans in your neighbourhood to make tactics and friendship in real-life. Map Editor (Community): We will make our map editor available for anyone with a license of Unreal Engine 4. Cosmetic Perks (Spy and Merc, Community): Unlock purely cosmetic perks based on Points. Gain Points faster when playing with a regular partner! Also includes personalization of your Spy's color. 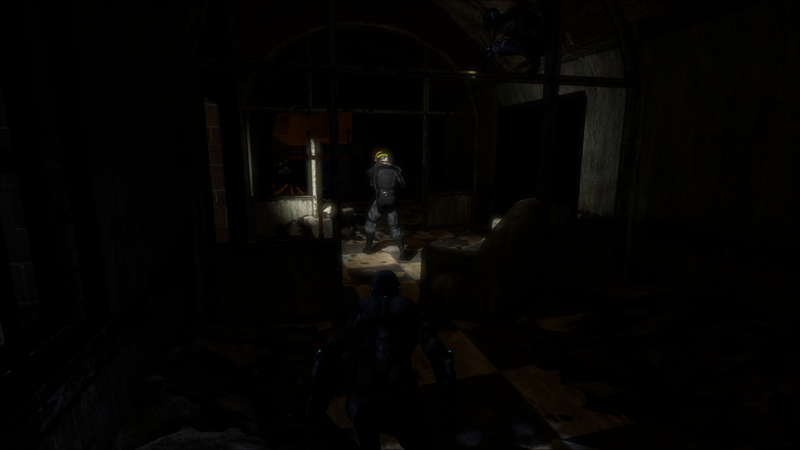 Project Stealth has engaging environments to create memorable moments during gameplay with your friends. Each environment has its own set of secrets, so learn to use them to your advantage. Develop unique strategies through addictive gameplay, or simply explore the beautiful scenery with friends. We will provide at least four maps at launch. Explore, Master, Play! 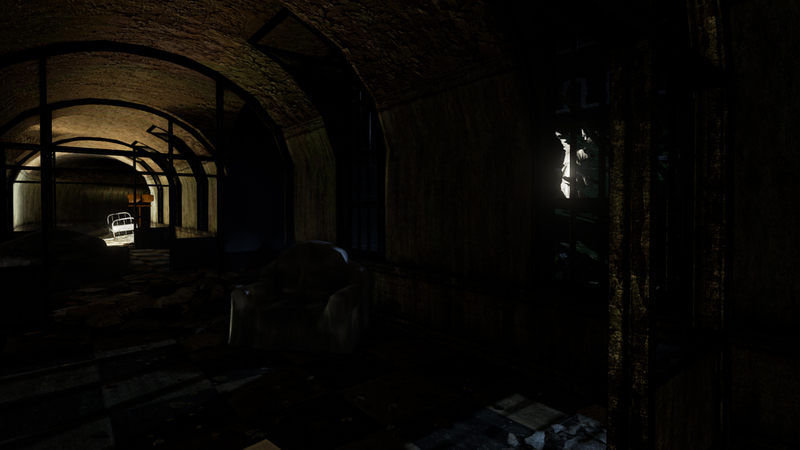 We're happy to show off our first two maps Lakehouse (made in UDK) and Asylum (made in Unreal Engine 4). 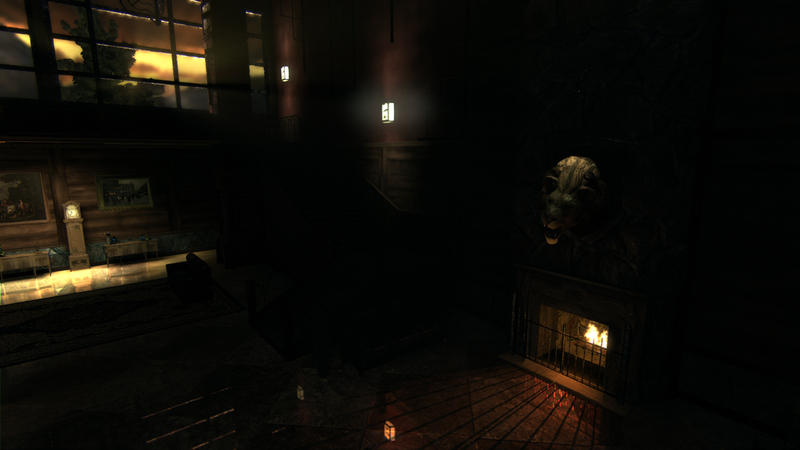 Lakehouse will be ported to Unreal Engine 4 at a later stage. All screenshots are pre-alpha and do not reflect the final quality. This goes especially for the ones that are made with UDK. The thumbnails have been slightly brightened to accomodate for various gamma and brightness settings. As big fans of the multiplayer mode in Pandora Tomorrow and Chaos Theory of Ubisoft's Splinter Cell series, we were sad to hear that this mode would not return for the next installment. We set out on a mission: to create an experience at least as good as those games. We started in 2007 with pre-production and got up to speed in 2009. We went from mod of Roboblitz and Unreal Tournament 3 to Total Conversion, to indie with UDK and finally to indie with Unreal Engine 4. Over the years we've been featured in PC Gamer UK and exhibited at GamesCom, the biggest games exhibition in Europe. Now it's time to pull through and finish it. There's value in looking back and we will use the knowledge that we gained to deliver the ultimate stealth-action experience. We hope to release on as many platforms as possible. Our main platform is Windows on PC. It's unclear how easy it is to port the game to other platforms, but we will definitely try to get it on OSX around launch. In order to get the right expertise for the consoles, we've added those as stretch goals. You'll find the various tiers and rewards at the right side of the screen. For all reward tiers, unless explicitly noted, goes that previous reward tiers are included. If you're from the Netherlands, there's a high chance you won't have a credit card to back this project. You can use the 3V voucher instead. We want everyone to see how we make this game. Our first tier, "Eavesdropper", is meant for exactly that: hear and see all the backer updates. This tier also enables you to post your comments on our updates. We love constructive feedback. 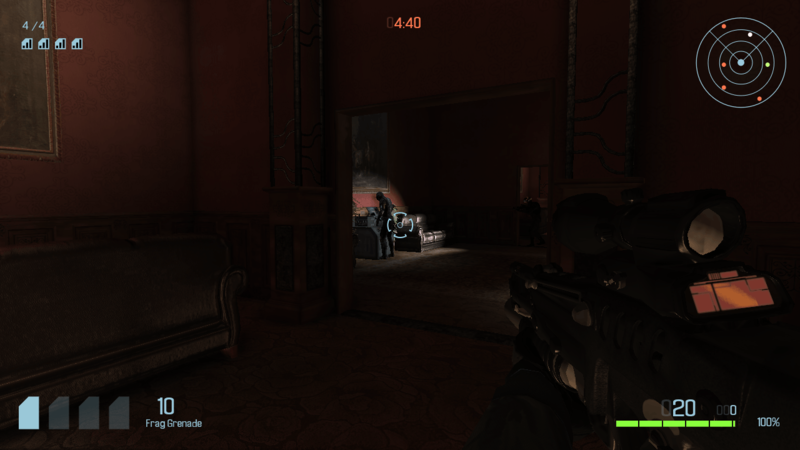 Sound is very important in a stealth game. Hearing a Spy shoot out a laser or hearing a Merc open a door will often make you change what you are doing, to deal with the new situation. Music is also important because it sets the mood. This tier adds the digital soundtrack of Project Stealth: a mix of varied compositions that capture the soundscapes of each of the levels. The music is created by Theodore Wohng. This tier also consists of the "Eavesdropper" tier. The sneaky Spy has grabbed the game from under your very eyes while you were blinking. The game at a discount is available in a limited quantity but only for those who back this tier quickly! Also includes the "Noisy Merc" tier and below. The game in all its glory. Are you ready? Bring it on! You'll get at least 4 maps which should give you tens to hundreds of hours of fun. A good investment we think. On top of that it also gives you access to all maps that are unlocked in the stretch goals and up to 2 maps if post-Kickstarter sales are good. it includes the "Noisy Merc" tier. Do you want more games? Check out the "Reward Add-ons" section to find out how to get more game copies. Everyone wants to see their own name in cool things. That's why we're giving you the option to get your own (nick)name in the game's credits. Includes the "Bring It On" tier. In Project Stealth thinking fast is important for winning. And who doesn't want to win a discount? This tier gives you Beta Access at a reduced rate. Also includes the "Leave a Trace Behind" tier. Ok, so you're a bit slower than the rest. That's fine. You took your time to make a good strategy which might just give you that much-needed edge. We hope you'll also take your time to test our game and give constructive input, because this tier gives you Beta access. Also includes the "Leave a Trace Behind" tier. Be a part of the international stealth-action multiplayer community by backing this tier. Our global uniform -- a nice PS-themed t-shirt -- will be sent to you as one of the perks of membership. This way stealth fans are able to identify eachother without having to disclose their name. If you want to show off your dedication to stealth games, this is a good tier to get: you'll get to show off that you've backed us by having a special skin. On top of that, you can choose to wear a hat in-game. Who doesn't like hats? That's right. Nobody. This tier includes the "Exhaustive Hacker" tier. You want to get physical? Don't mess with the Tough Merc. He'll show you what he's made of: a nice big poster, a PS-themed mug and a 3D figurine. The designs of these will be revealed during the Kickstarter period so stay tuned. Includes "Camo Suit" tier. Additional goodies can be bought by pledging more. See our "Reward Add-ons" section for more information. You want to show the whole world that you love Stealth-Action Multiplayer gameplay but things can get smelly if you only use one promotional T-shirt. We understand. Introducing the Custom Camouflage tier with an extra T-shirt. We will also try to answer your questions about Project Stealth in a Skype call. A second poster is added so you can finally get rid of the Justin Bieber poster in your little siblings bedroom and change it to something cool. And don't forget the extra figurine! Includes the "Tough Merc" tier. If you want more swag, please have a look at our "Reward Add-ons" section. We will need a lot of maps. What's better than to involve the community in that creation process? If you pledge at this level, you will be able to give early feedback for one subsection of a map. You'll get weekly updates on that part of the map in case something changed. Includes the "Custom Camouflage" tier. For this reward level, we'll fly you over to The Netherlands (only if you live in Europe) for a weekend with the Devs. We'll discuss the game, playtest it, do touristy stuff and have fun. Limited quantity! Includes the "Mastermind" tier. Sometimes you just want more of something, but the next tier is out of your budget. What to do then? Just get an add-on! Add-ons can also be purchased after the main campaign has ended by selecting the appropiate boxes in the form you'll get. We've kept the current goal as low as possible. However, this also means that some things we'd like to see are not included. We hope to tackle these with the stretch goals. What do we do with the money? For most people it's hard to grasp what the money gets spend on and how much. To help with that, we've got a breakdown of our intended budget. Of course this is subject to change. 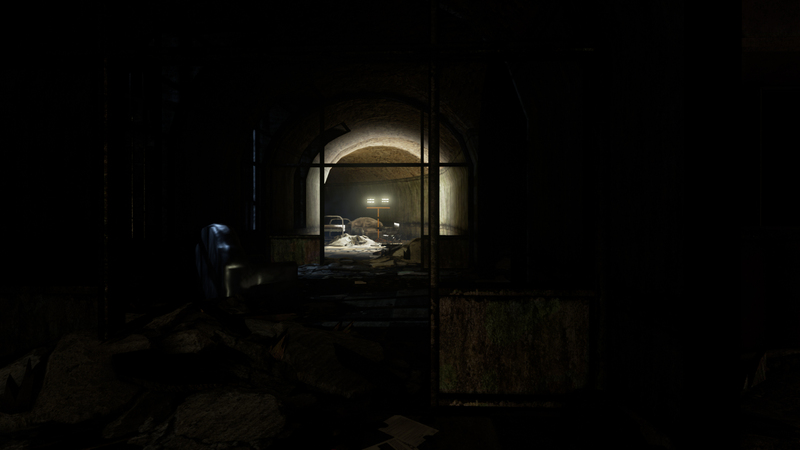 Visual Arts is mostly about Level Design and Environment Art. There's also a small role for animation tweaking and technical artists for the physics systems. Programming is for programmers and HUD programmers. Audio deals with sound effects, ambient sound effects and music. Management handles everything from the producer, (office) supplies, quality control, finance and legal issues. Marketing funds all the marketing like PR and a bit of advertising. Rewards is about handling of the physical KS rewards. Risk and Overhead's money can help fix unforeseen problems. Also includes a guesstimate on taxes. KS/Amazon is the cut that Kickstarter and Amazon will take. After a BSc in Computer Science and a Minor in Business Science Frank worked mostly on web development. He worked on the global hosting and performance optimizations of the massive and popular casual game portals of Spil Games. Graduated from Full Sail University in 2005, started first full time job in the game industry late 2006. Is now a Senior Enviroment Artist with 8 years of experience and has shipped 2 retail Xbox 360/PC/PS3 games. 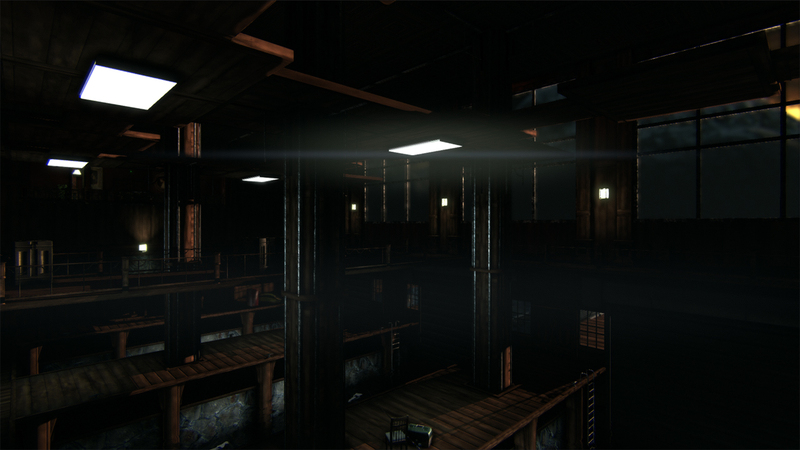 Lead Environmental Artist and Level Designer for Lakehouse and Asylum. As with any software product, Project Stealth can be delayed. We've had seven years of pre-production and have built most of the individual subsystems during that time. We've never had everything functioning together in one build due to changing technological insights. However, we know roughly how much time certain features will take to build because of this experimentation. Also we have reference material from our older builds. This will help a lot. The current budget allows for about six fulltime months of work. 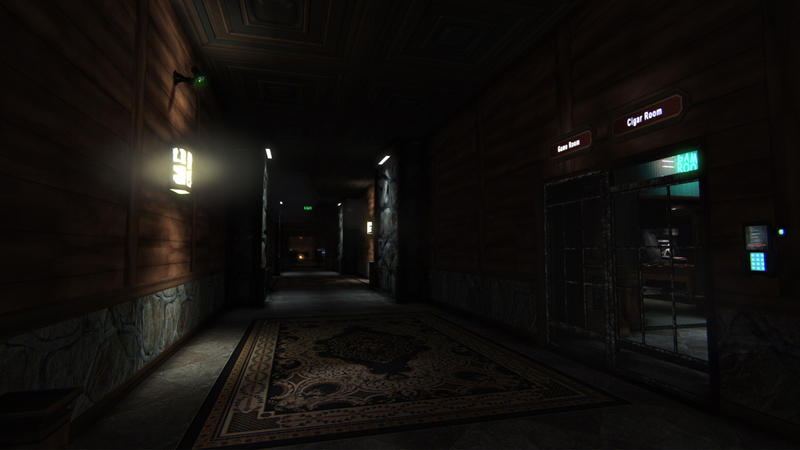 In case we can't finish Project Stealth during those six months, we'll shrink down and continue at a slower pace. Almost all of our current contributors have been volunteers for years on this project and we are dedicated to finishing this. Personal situations change, which might make volunteering impossible, so there's a small risk it won't be finished in that case. The transition from UDK's UnrealScript to C++ should be smooth, but it's possible we'll hit some barriers there too. C++ and Unreal Engine 4 have better debugging tools so this shouldn't be an obstacle. For art, we'll keep most of what we've build in the past. Brushing up of character models, materials and animations will take time. We've allocated stretch goals for this to have the necessary resources. You'll be able to comment and get all the inside scoops of our development. Noisy Merc + get the next tier ("Bring It On") at a 20% discount for the quick fan. Limited quantity! Leave a Trace Behind + 20% discount on Beta Access. Limited quantity. Bring It On + Beta Access. Try out the game and give your feedback directly to the developers. Also includes access to a special, beta-testers-only forum. Mastermind + spend a weekend with the devs in The Netherlands to discuss and play the game in its current state. Includes doing touristy and cool stuff! European flight and hotel stay included. Transatlantic flights etc are not.